The Philippines Department of Agriculture is putting in 30 million Piso to restore the 2,000-year old Ifugao Rice Terraces, often described as the 8th Wonder of the World, to their former glory. Agriculture Secretary Proceso J. Alcala made the commitment during his November 25 meeting with Ifugao officials and other leaders in Banaue. Alcala said the rice terraces are a source of pride for Filipinos, for which reason it must be preserved at any cost. The Ifugao Rice Terraces are considered an UNESCO World Heritage site, and have been declared by the UN Food and Agriculture Organisation as a Globally-Important Agricultural Heritage System. Alcala said the P30 million is an initial amount, with P10 million coming from the National Irrigation Administration (NIA) for the repair of the damaged portions and the enhancement of the irrigation systems for the terraces in the village of Batad. The remainder will come from the National Rice Program for the reinforcement and upgrade of similar terraces in four other sites. These include the picturesque Banaue rice terraces that can be seen at the Danara Viewpoint and the terraces in Mayoyao, Hapao and Kiangan. The best way to explore the amazing rice terraces of the Ifugao, Botoc and Kalinga tribes of the Philippines Cordillera is to make a trek from village to village, staying at small guest houses and as guests of local tribal families. Here’s how. 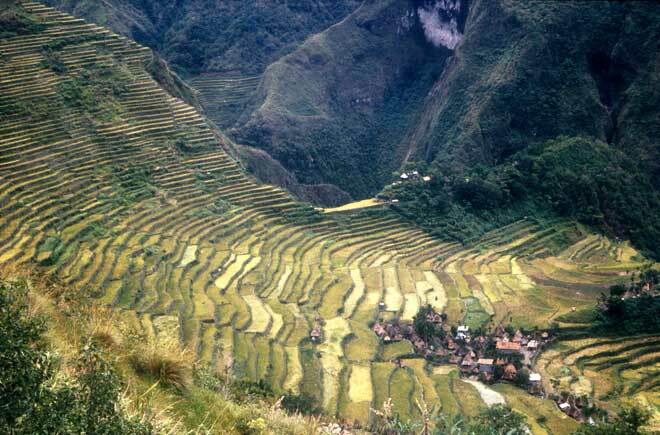 I’m so glad that Banaue Rice Terraces will be repair..This is one of the major rice production of the Philippines..
I’am agree with that this Is beautiful that made Of People In Philippines. So let me get this straight… The people in Banaue are too lazy to fix their own terraces because they make more money from selling the tourists things and guiding them. Now, because of their laziness, the Filipino tax payers need to pay for these terraces to be preserved? Oh yeah, it’s still the Philippines. I doubt anything will be done and the money will disappear, as usual..